Wishing everyone a wonderful 2019! I’m really enjoying using it so far, and love how the app records your work! You can watch a process video of the sketch below. If you’d like to see a few other speedpaints I’ve done, please check out my YouTube channel! Please hit the subscribe button if you enjoy my videos! Often I look at random images online for inspiration to practice sketching. I actually keep several folders full of photos I find interesting. Ages ago I happened upon a photo that immediately made me think of Willam from The Florentine Series written by Sylvain Reynard. Nothing about it had anything to do with the books, but part of the pose and the mood it presented, gave me all sorts of ideas for an illo. The photo that caught my eye showed a man sort of perched on a fire escape or scaffolding on a building. 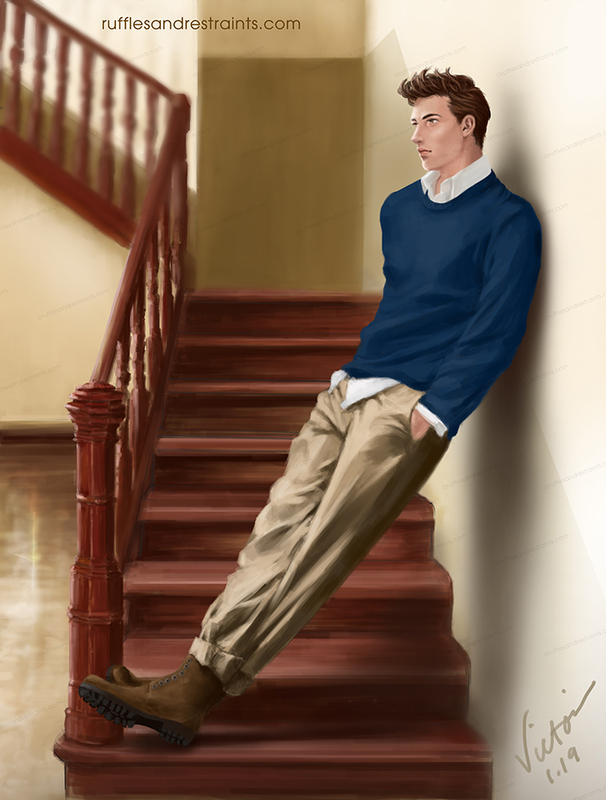 To better suit William, I changed the background and pose a bit. 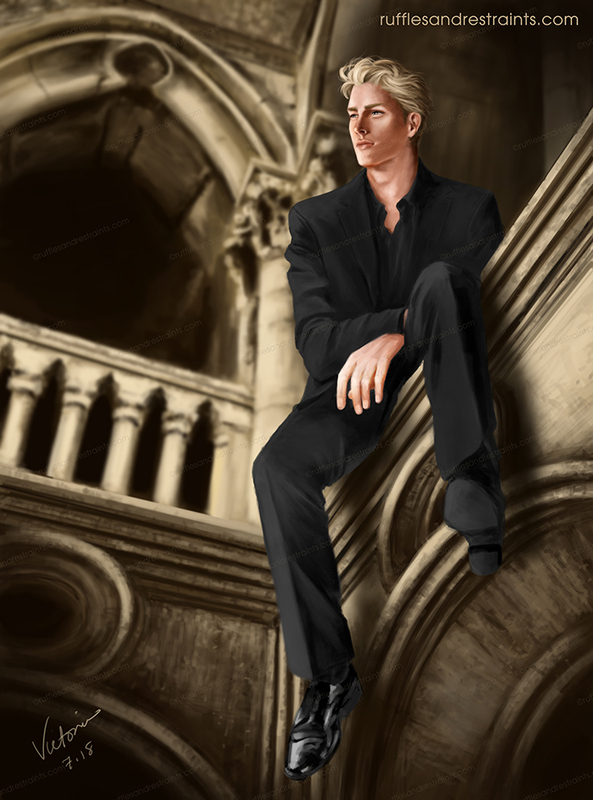 Instead, I thought I’d put William effortlessly seated on a small ledge on one of the domes towering above the city. This would be a very precarious position for mere humans, but not for William. After bounding from rooftop to rooftop, perhaps he would choose a spot such as this to pause and reflect. This would allow him to silently survey the people and events going on below, or give him a moment to ruminate on his relationship with Raven, and what it could mean to his future as the Prince and the future of the city of Florence. …so sometimes my imagination gets a little out of hand. 😉 But I had a lot of fun painting this piece! Thanks to everyone for taking the time to enter! To help celebrate the May 8th release of Fifty Shades Freed on Blu-ray and DVD, #OfficialFifty members (including myself) have an exciting giveaway to offer everyone! 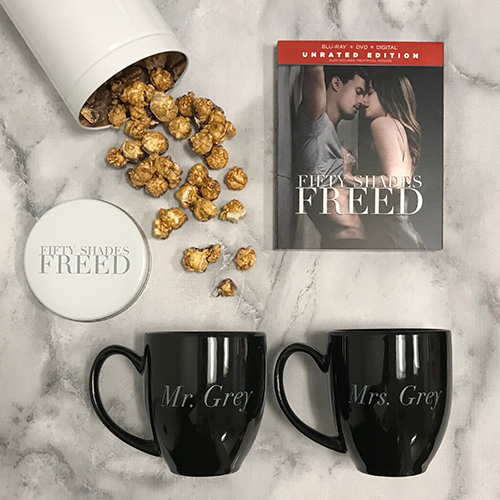 One (1) winner will receive an exclusive #FiftyShadesFreed Gift Pack! all courtesy of Universal Pictures Home Entertainment! Giveaway is open to US and Canadian residents ONLY! Simply comment on this post by Wednesday, May 9, 2018 at 8am PT! Your full name and email address are required to qualify to enter. note: comments must be approved by the site administrator (in order to prevent spam.) Comments may not appear immediately after you post. Please do not post repeatedly if your comment does not show up right after you comment. The winner will be chosen at random from all qualified entries received, and will be contacted by noon (12pm) PT on Wednesday, May 9, 2018. AGAIN, PLEASE MAKE SURE TO SUPPLY A VALID EMAIL ADDRESS AND RESPOND PROMPTLY. IF THERE IS NO RESPONSE BY 11:59PM PT ON WEDNESDAY MAY 9, A NEW WINNER WILL BE SELECTED. So excited to share a new illo that the very sweet and wonderful Jennifer Locklear commissioned me to create, based on a scene from her new book, Chaos! This new release is actually the second book from her Constellation series! She was very kind, and had also commissioned me to interpret a scene from the first book when it debuted in 2016! Find out what happens, and learn more about these two, when Chaos is released on May 17! You can also pre-order now by clicking HERE! I really hope you all check out Jennifer’s new book and her entire series! So, I thought it would be fun to imagine the Playroom being part of the Grey’s Valentine’s Day celebration! 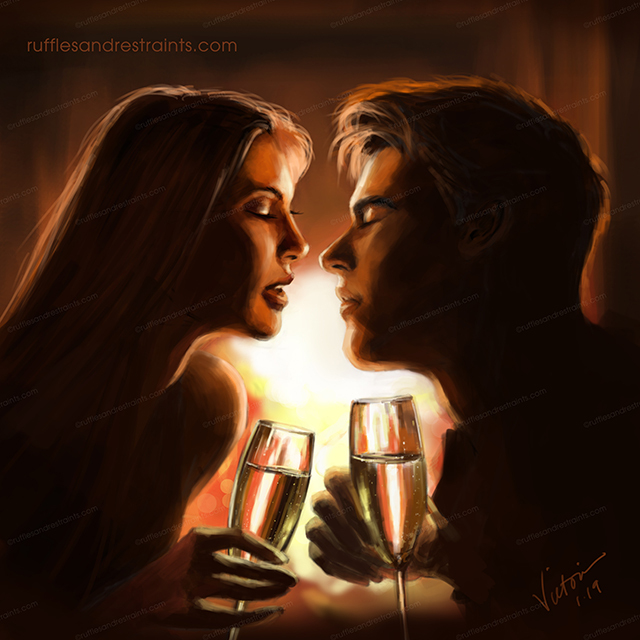 I’ll let you all imagine what came about before this scene (heehee) but eventually the two of them find themselves on the Oxblood Chesterfield couch, enjoying some chocolates! (Probably very safe to assume they would need to take a break and replenish some energy with some delicious candy!) The room encompasses everything about indulgence, so decadent treats would be more than appropriate! Time got away from me again and I have lots of pieces that I haven’t posted here, but have shared on my Twitter, Facebook, Instagram and Tumblr pages. This first illo is a quickie that was unintentionally inspired by the ‘Men in Cities’ series, by artist, Robert Longo. 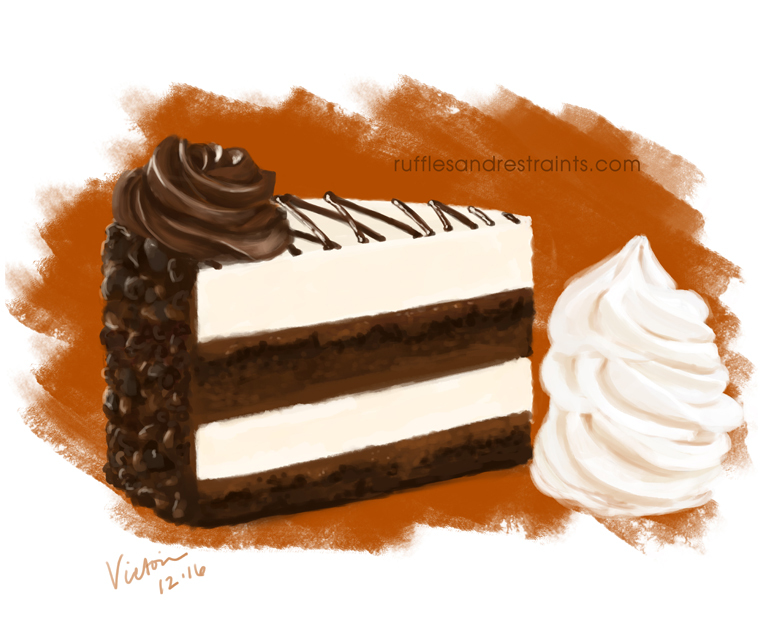 I wanted to do a quick practice piece and was aimlessly looking for reference photos to inspire me. 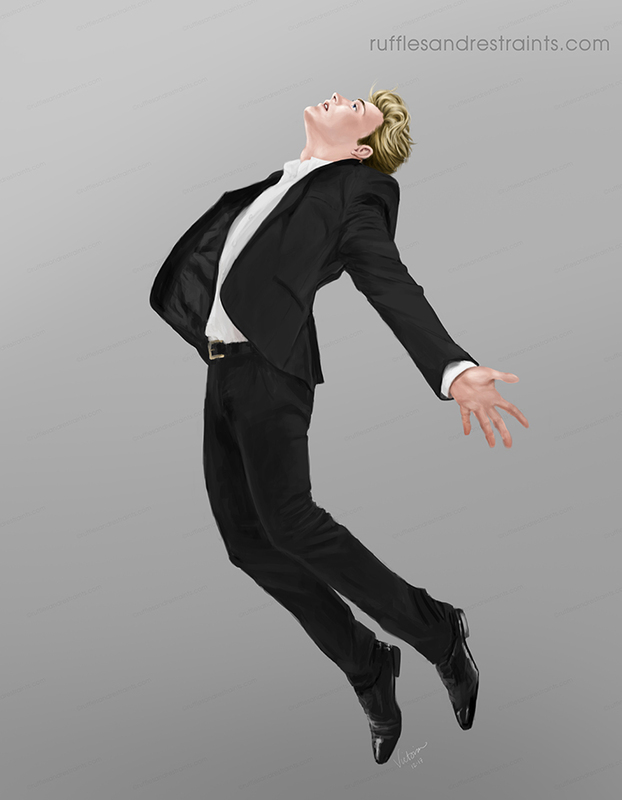 For some reason I felt like sketching men in suits, but in dynamic motion or flying through the air. As I started to draw I remembered Longo’s artwork. I’ve always loved that series! I felt like attempting to illustrate a figure in a static pose, which still gave a sense of movement due to the angles of the body. I stumbled upon photo ref for a portion of the upper body pose, but made up the rest for this piece! 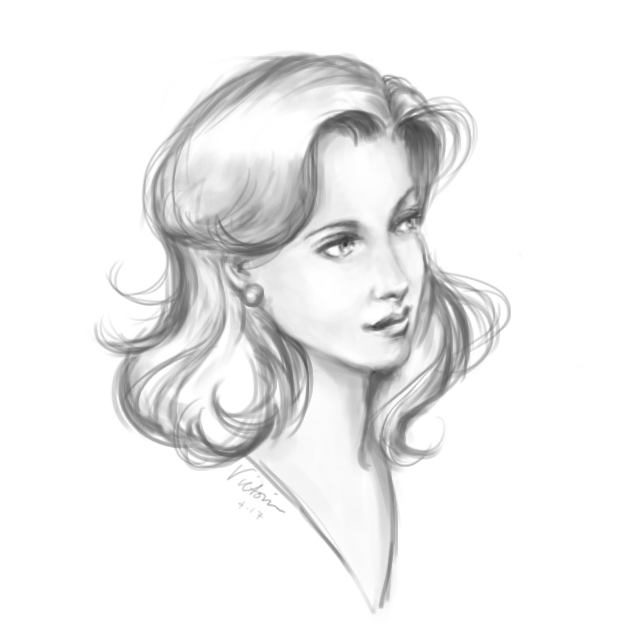 One evening I intended to try out a new Photoshop technique…but got sidetracked and ended up with this quick sketch instead! There are quite a few more, but I’ll stop here for now! 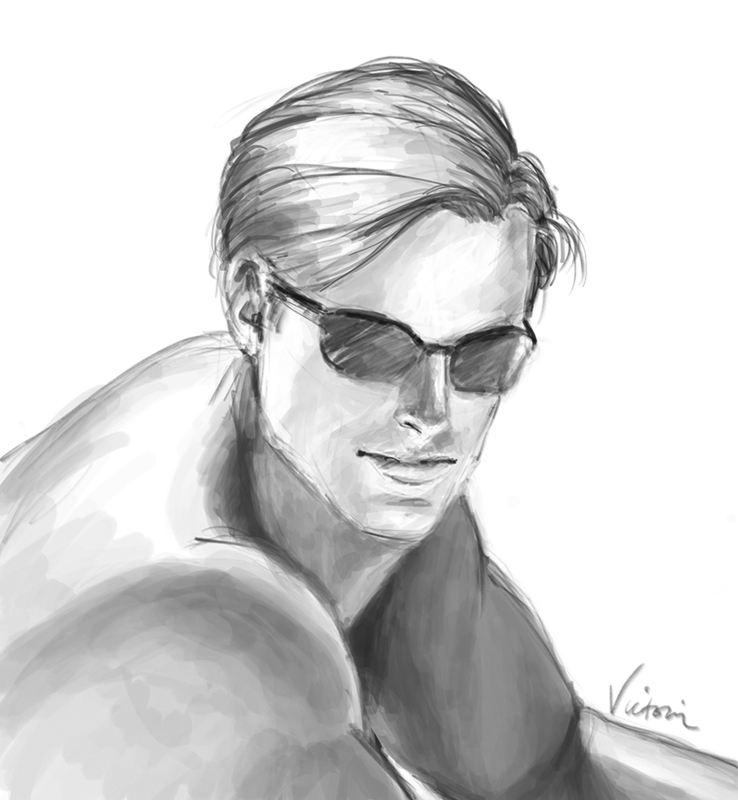 I hope to post rough sketches, quickie illos and other random art pieces more frequently on my social media accounts. To keep up-to-date and see everything as I post them online, it’s as easy as following any of my social pages. All the links to my Twitter, Facebook, Instagram, Tumblr and even my YouTube page are at the top of the right sidebar of this site. Just click any icon any you’ll be taken straight to my page! But as always, I will make sure to post them here eventually as well! The #FiftyShadesFreed trailer debuted today! If you haven’t yet seen it, or would enjoy seeing it all again, you’re in luck! 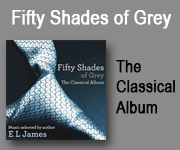 You can watch it right here, courtesy of #OfficialFifty! Fifty Shades Freed opens in theaters in the US on February 9, 2018, but advance tickets are on sale now! Order yours by clicking HERE! Plus, here’s one more treat, brought to you by #OfficialFifty…a new movie poster!